From Jurassic World to Avengers: Age of Ultron, summer movies are all about escapist fun. As CBS looks to lure audiences during the same season, it's found a show that distills the pleasures of those summer popcorn films in Zoo. Premiering Tuesday night and based on James Patterson's best-selling novel, Zoo takes place in a world where animals begin rebelling and attacking humans. 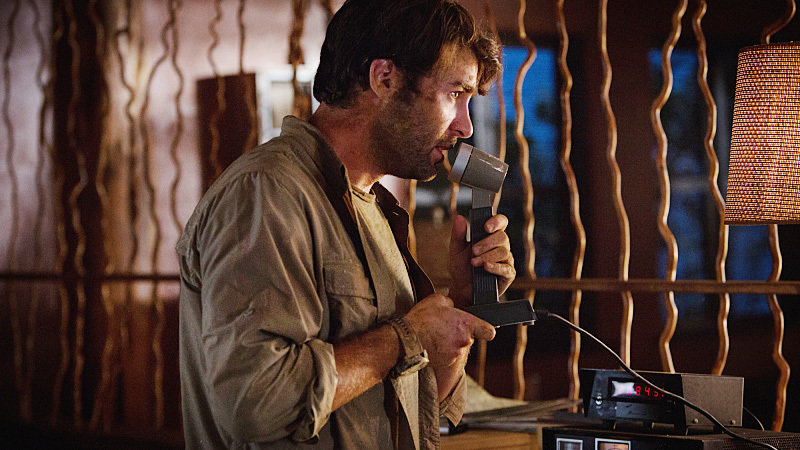 James Wolk stars as zoologist Jackson Oz, a former Bostonian who now works as a safari guide in Botswana. He teams up with a French investigator (Chloe Tousignant), who survived a lion attack while on safari. As the zoo attacks begin, Oz senses a connection to his late father's theories about how animals might someday overtake humans. At the same time, an L.A. journalist (Kristen Connolly, from House of Cards) teams up with a veterinary pathologist (Billy Burke, the best thing worth watching in NBC's frustrating Revolution) to investigate a similar wave of violent animal behavior. In lesser hands, it could be another Sharknado, but the actors have done an impressive job of selling the story and keeping the potential cheesiness in check. Much of that responsibility falls on Wolk, who has gained a reputation for being a gifted actor who ends up in beloved but short-lived shows—Lone Star, Political Animals, The Crazy Ones—but he once again delivers in Zoo. The show's timing couldn't be better. In less than two weeks since its release, Jurassic World is already the country's highest-grossing film of 2015 (it's made $500 million in the U.S. and $1.25 billion worldwide), so audiences are primed for a show in which wild creatures repeatedly stalk and attack humans. And Zoo certainly delivers on that front, with several creepy, compelling visuals, including a scene in which lions turn the tables on a suddenly vulnerable Wolk. My recommendation comes with a lion-sized caveat: CBS now has a summer tradition of debuting a new series with a riveting, visually striking pilot—both Under the Dome and Extant had memorable premiere episodes—only to have the compelling story line flame out midway through Season 1. And Zoo's premiere offers a dozen ways this could all go horribly wrong, perhaps as quickly as the second episode. But for now, the show is worth a look. Enjoy, and pass the popcorn.